I have a confession to make. 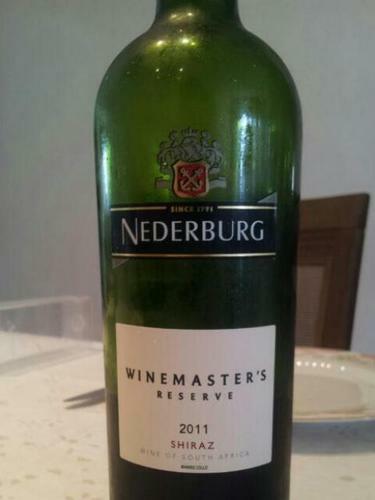 Before I started training to become a Sommelier, my experience with South African wines were limited to say the least. I had tried one of the ‘manipulated Pinotage wines’ from Bertus ‘Starbucks’ Fourie, you know, the ones that overwhelm you with coffee and mocha flavors. Not a fan. My other experience was with another wine I had served that was so earthy, it felt like I was licking soil. So I kind of had it in my head, I didn’t like South African wines, and I really didn’t like Pinotage. My friend and colleague Anthony, loves South African wines and loves Pinotage. I just didn’t get it…. And then…. a few beauties came along. Meet Diesel. He was the beloved dog of Beyerskloof winemaker Beyers Truter, who passed over the Rainbow bridge in 2006, I believe, and after whom the wine is named after. 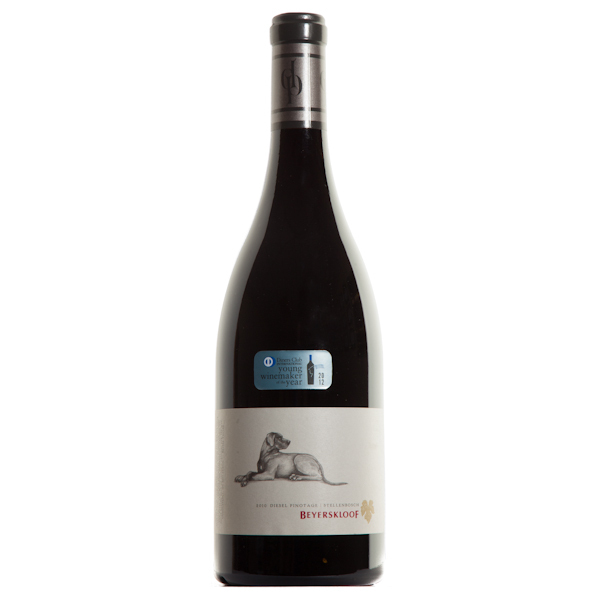 Beyers Truter makes a spectacular Pinotage, a classy full-bodied version offer gorgeous flavors of spice, plum, cherry and cedar. Oh My God, I love a South African Pinotage. This is my friend Anthony’s favorite wine. Barista Pinotage, under $20 and one of those manipulated Pinotage wines from South Africa. Very pronounced flavors of mocha, coffee, chocolate, plums and mulberry. Aromatic and full of all those flavors. I like it, however, I prefer the Beyerskloof Diesel Pinotage. Although South Africa is considered ‘New World Wine’, the winemaking dates back to the mid 1600’s. A Dutch surgeon planted vineyards and made wines starting in 1659 to help sailors who were travelling the ‘spice route to ward off scurvey. And later Simon Van der Stel started the Constantia wine estate, and for a while the dessert wine that came out Constantia was considered to some of the best in the world. However, when Van der Stel died the estate fell in disrepair. When someone did buy it, wine makers grew high yielding – low quality wines. So for the next few hundred wines the world didn’t know or really didn’t like South African wines. There was a wine glut. In 1918 the cooperative known as KWV was formed with help from the South African government to help control the growth and secure the prices with the government. What started out as a cooperative grew in power very quickly, when they recommended that the extra grapes be used for brandy. It wasn’t long before they controlled the entire winemaking industry in South Africa. In 1973, 70% of grapes were used for brandy and by 2013 that number had reversed – 70% of grapes were being used for wine. And the reputation of good wines coming out of South Africa grows with each year. South Africa can still provide good wines at very reasonable prices. My guess would be because they are still trying to grow their reputation on the international market. Take this beauty for example, a steal of a deal at under $15. Nederburg is constantly winning awards for high quality wines, and in 2011 chosen as Winery of the Year in Platters South African Wine Guide. This beautiful Winemakers Reserve Shiraz from 2011 is complex with good tannic structure and full-bodied flavors of plums, spices, chocolate and hints of oak. I enjoyed it with my BBQ steak but it would go well with a wide array of foods including lamb, beef and pork dishes. 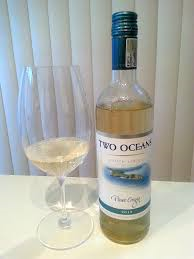 For my white wine loving friends, try the Two Oceans Pinot Grigio. It will become your favorite new wine for summer and will pair perfectly with your favorite summer salad. Named after a place on the Southern tip of Africa where the Indian Ocean and the Atlantic Ocean meet, this Pinot Grigio is crisp and refreshing. Complimented by gorgeous flavors apricot, peach and some floral notes, this is also a great wine to go with all your favorite seafood dishes. 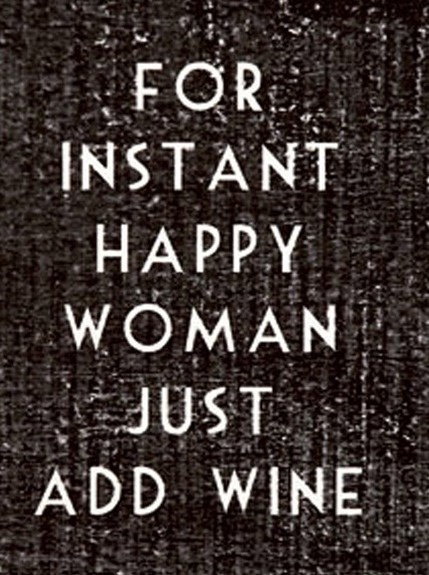 And on that note, I’m going to say Cheers – till next week. This entry was posted on June 7, 2014 at 2:05 pm and is filed under Uncategorized. You can follow any responses to this entry through the RSS 2.0 feed. You can leave a response, or trackback from your own site.